It all begins with a small seed. 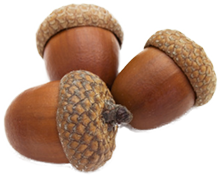 Acorn Digital Strategy is a boutique digital marketing agency specializing in quality content marketing. From corporate blogging, online articles, newsletters, white papers, videos, and online presentations, we can help you build a content strategy that engages your target audience. By utilizing keywords that are both relevant and competitive, we can help your business and content move up the search engine rankings to increase targeted traffic to your site. Branding is an important element to have nailed down. We ensure your messaging is clear and consistent on your website and across all channels. This will ensure that traffic is relevant and converts to customers. It's important to communicate with your customers. Whether the best outlet is a weekly newsletter or something less frequent, we'll set you up with email client managers that are reliable, easy-to-use, and provide measurable analytics. In addition to the organic content marketing, we'll help identify the channels that are most relevant for your target market. Whether it be Google, LinkedIn, Twitter, Facebook, Instagram, or another channel, we have experience running successful ad campaigns to increase your competitive edge. an idea can grow into something wonderful.